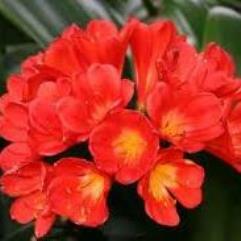 Originally from South Africa, Clivia miniata is an excellent plant for thriving in the shade, especially under trees. 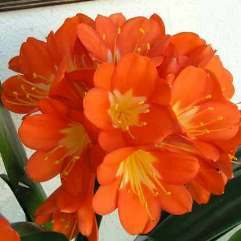 Clusters of trumpet flowers are borne above dark green, strap-like broad leaves in spring, and occasionally in autumn and winter. 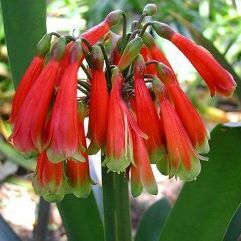 The flowers may be followed by attractive, red, berry-like fruits. 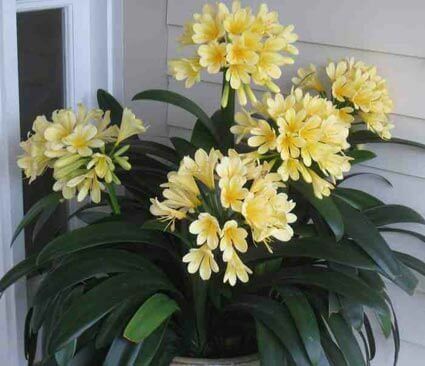 Great for pots or under trees. 2 - 3 year old plants. 6 - 8 leaves.